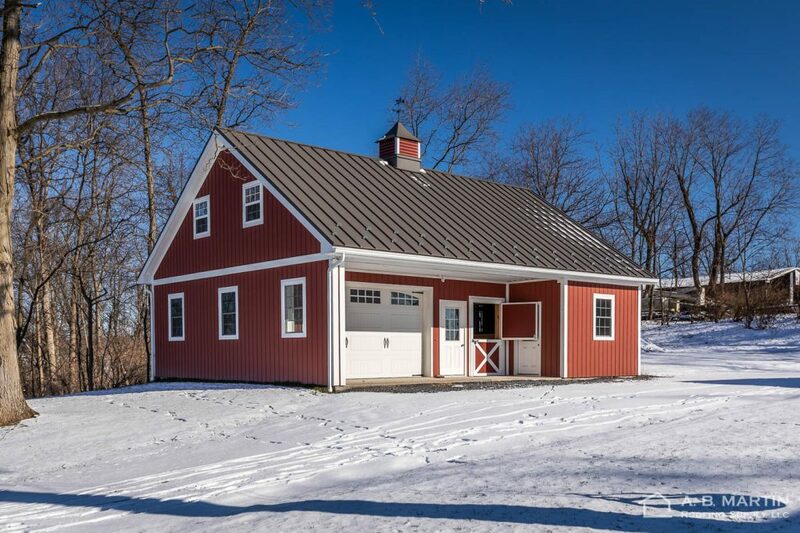 Amidst the wintry landscape in Ephrata, Pennsylvania, a private horse barn is a perfect example of what can happen when you partner with us for your building supplies. Almost everything you see (and a lot of what you don’t see) came from A.B. 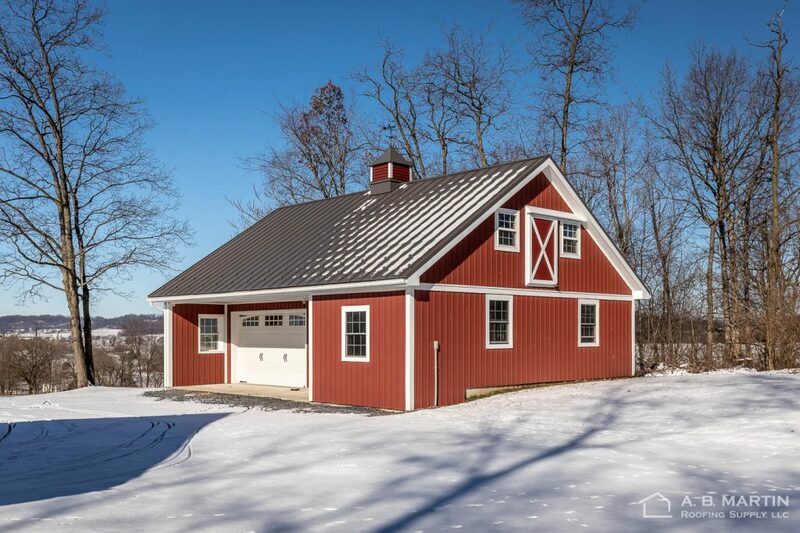 Martin – like the PVC Celect Siding, the rust-proof aluminum weathervane, ABSeam Panel roof in Textured Charcoal, A.B. 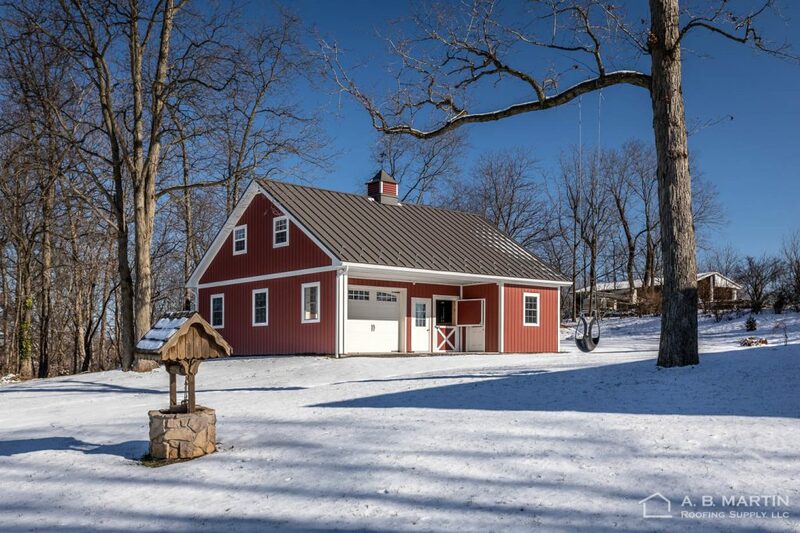 Martin Cupola, horse stall components, doors, windows, lumber, posts, trusses and more. To keep the snow from sliding off the roof, the contractor installed the non-penetrating Snow Defender 6500s.